Product prices and availability are accurate as of 2019-04-13 10:18:16 EDT and are subject to change. Any price and availability information displayed on http://www.amazon.com/ at the time of purchase will apply to the purchase of this product. 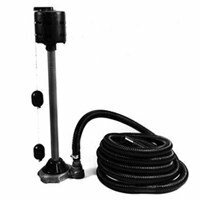 24 ft.SUMP PUMP HOSE KIT - The most inexpensive way to hook up that sump pump. Contains 24 ft.of hose, adaptor and clamp. Hose dia. 1 1/4. 1-1/4" or 1 1/2" full size. Plastic male adapter. Stainless steel clamp. Individually packaged with instructions included. 24 ft of heavy duty corrugated polyethylene tubing.